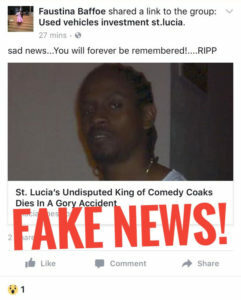 A fake news website has been spreading panic and disinformation among social media users in St Lucia with shocking headlines declaring death and scandal. 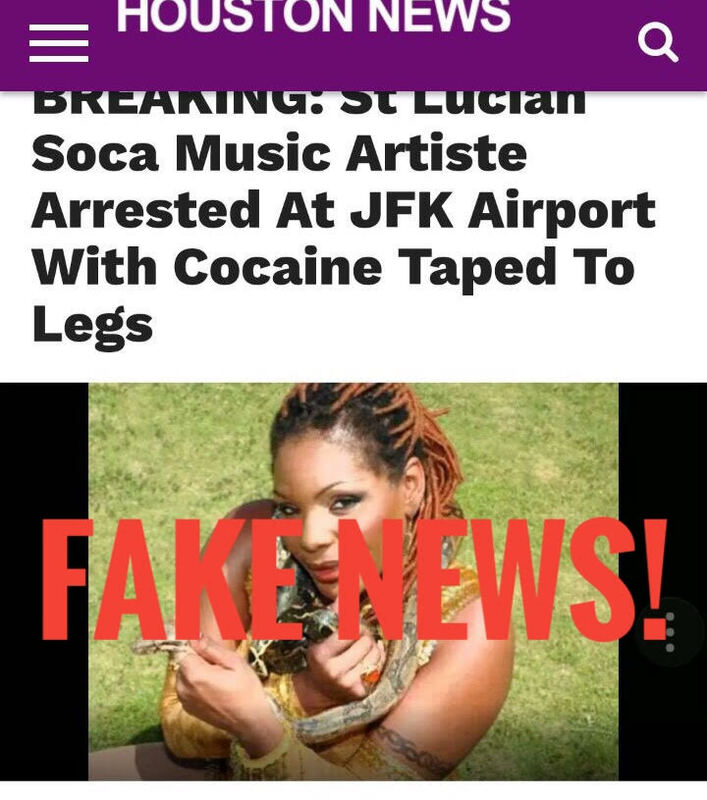 Its latest target is Soca Star Nicole David who was forced to release a video on social media over the weekend to prove she had not been arrested in the United States with illegal drugs, as the website had falsely claimed. The fake news website sent gossip mills spinning early Saturday morning with an explosively false story that David, who is known for hits such as “Put your waist into it” and “Bounce”, was busted by authorities at JFK airport while trying to smuggle cocaine strapped to her body. Before Nicole David, the website falsely reported the death of comedian Carlton “Coakes” Cyril, causing much alarm as documented by columnist Earl Bousquet who spoke to the comedian after the story began to spread. “The horror of his alleged death now behind me, Coakes would then tell me and even worse horror story,” Bousquet writes in the Voice Newspaper. As for David, she returned to Facebook on Sunday to thank her fans who defended her following the publishing of the fake news story. I honestly read this story a week ago, and it was strange because no one else had the story. Good to hear it is fake news. I wouldn’t think Nicole would be so stupid in the first place. This is a perfect case for libel charges. Nicole should report the matter to the police and seek legal advice with a view to bringing a libel suit against the owner(s)/writers of this publication. The reputational damage cannot be undone. Already I’ve received Facebook and Whatsapp messages from friends overseas drawing this false article to my attention. That is what happens when every thing we get we press send. It only seems bad when it affects us, our family and our friends. We need to stop sharing these negative things. Spend the time sharing positive things that could uplift each other. Why would someone even believe Nicole would be involved in such a mess. Nicole is too classy for that. Donald Trump warned us about “Fake News”……….these ppl should be sued for the highest amount to set an example! Is there really a difference between such news reports and our politicians speaking in the house or to the media?. Is there really a difference?